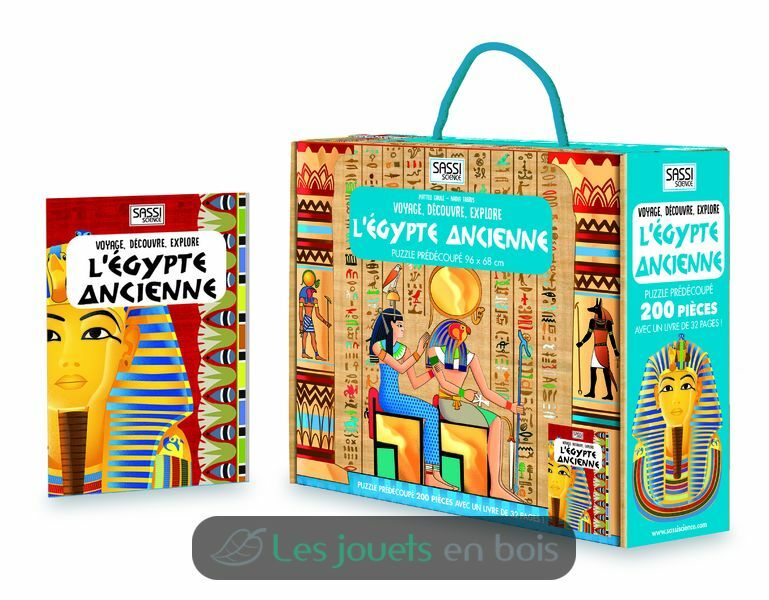 Take a fascinating trip down the Nile to discover all the secrets of ancient Egypt! Look how tall the Pyramid of Cheops is! Learn to recognize hieroglyphics! Explore the ancient tombs of the pharaohs and learn all about daily life in the shadow of the mysterious Sphinx! Marvel at this fantastic world amid the desert sands! All your questions about the land of the pharaos will be answered! How is a mummy made? How did the ancient Egyptians dress? What were their ancient legends? Read the book, then put together the giant puzzle to see an exciting scene of history and mystery! 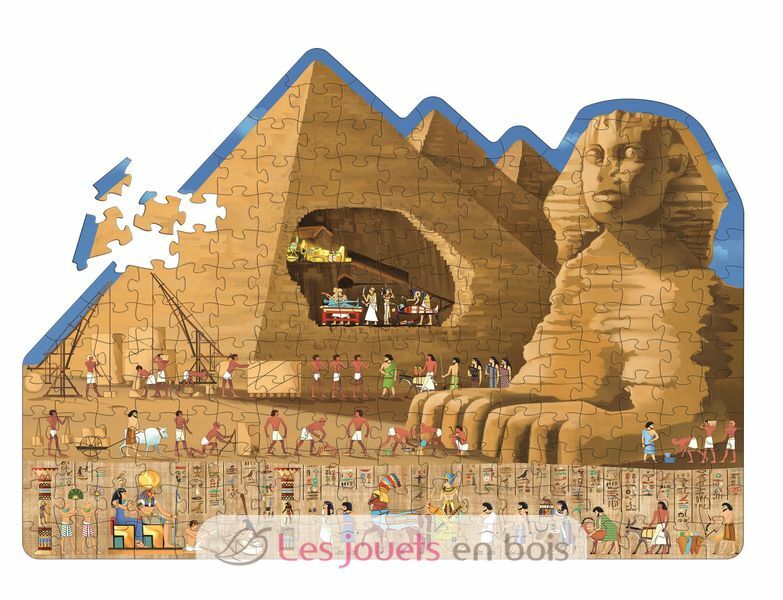 Travel, learn and explore - Ancient Egypt, a book with puzzle for child made by Sassi Junior.